How Did NANO Community Helped Venezuelans Survive its Crisis? Venezuela is suffering an important crisis that started several years ago. With the promise of creating a socialist dream, the country has 90% of poor people and an inflation rate that reaches 14,000% in a year. A now famous Redditor from Venezuela known as Hector, said how NANO donations were helping him and a community in Venezuela face the crisis the country is now living. The NANO community was able to to gather some funds and help Venezuelans escape from the crisis, at least for some time. The Reddit user Windows7733 was able to donate over 100 kilograms of food to those who needed it. It is important to mention that $1.33 dollars is an entire monthly salary in the country and that the country has the highest inflation rate in the world. Hector said that without the money provided by the community, 4 NANO at that time, he would not have anything to eat. And the /r/nanocurrency community understood that he could be a link between a community that is suffering and the NANO environment. 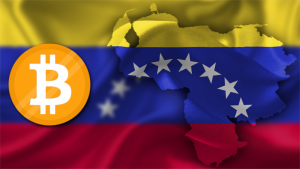 Cryptocurrencies are very popular in Venezuela and they have ben expanding because it is very difficult to use the local currency called Bolivar. The situation is so complicated that to process a simple transaction of less than one dollar it is necessary to take bags full of banknotes. But using cryptocurrencies other than the Bolivar is illegal. “Handling other currencies to make payments denominated in any currency different from bolivars is illegal. We can’t have for ourselves any foreign currency because we are obliged to exchange it for bolivars at certain rate established by government officials,” he said about the situation in the country. Virtual currencies are helping people in the country to escape poverty, survive and be able to have a life as normal as possible. Though, the situation remains complicated and it does not seem to change in the near future.